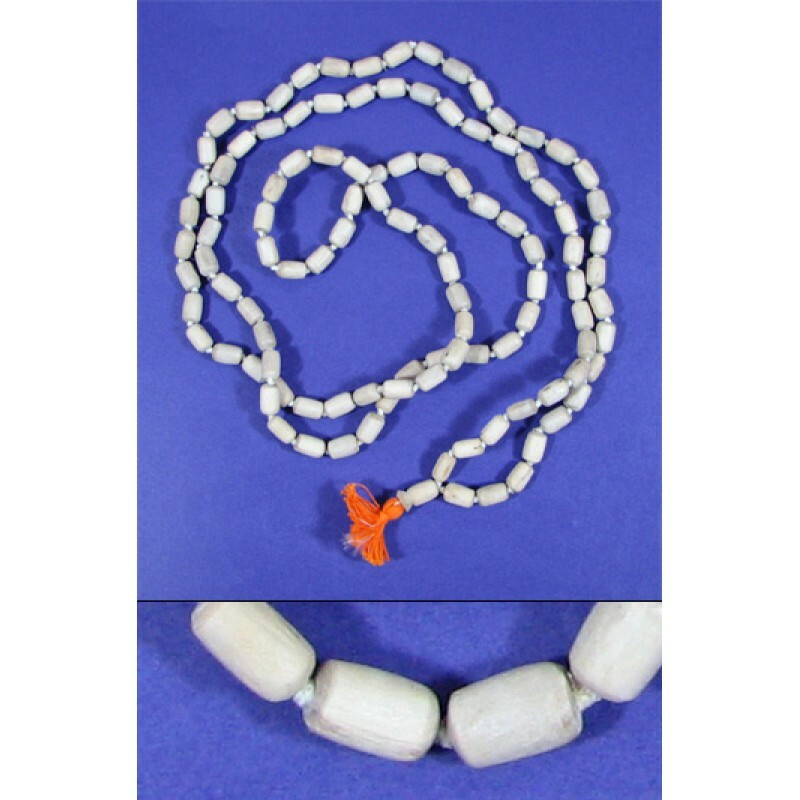 Pure tulasi japa mala, 66 inches in length (with barrel shaped beads, superfine quality). Total there are 108 beads in the mala (this mala may be used either for japa or for wearing on the neck). Tulsi clears the aura and helps to balance vata and kapha doshas. Chanting mantras of Vishnu on a tulasi mala increases the spiritual power of one's prayer and devotion.